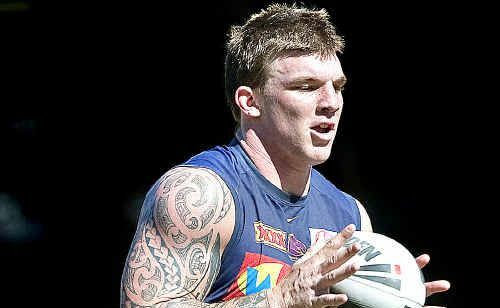 BARRING injury or a sudden loss of form, Broncos prop Josh McGuire is set to make his State of Origin debut for Queensland in Game I in Sydney, on May 27. Maroons coach Mal Meninga told APN the 25-year-old is ready for the Origin furnace in 2015, after displaying outstanding form for Brisbane so far this season. "He's been part of our system for a while, he's playing really good footy at the moment and he deserves a run," Meninga revealed. "His Broncos form has been fantastic - when he puts on a Maroon jersey we expect the same." McGuire has averaged over 150m with the ball in his past three club games against the Eels, Dragons and Roosters. The Maroons team for Game I will be announced on May 18. McGuire seems all but guaranteed at least a bench spot at this stage, following the loss of the Roosters' Aidan Guerra (broken jaw) and Ben Te'o (Irish rugby).